Population declines, extinctions, ecosystem degradation and habitat fragmentation – it’s a bleak outlook for conservation. In response to the biodiversity crisis, some conservationists take a more radical approach towards protecting species: translocation. This is the practice of intentionally moving species from one area and releasing them to another. Translocation has pulled many species back from the brink of extinction. 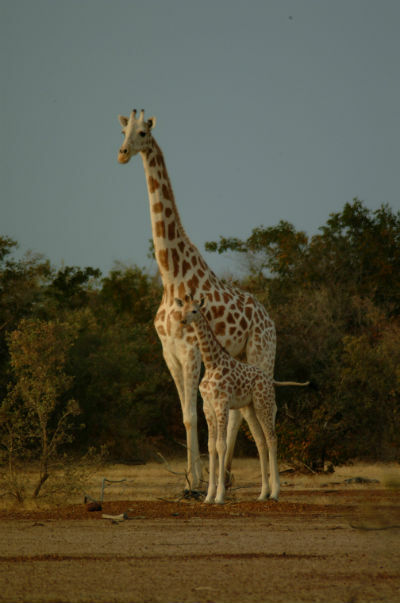 For example, in November 2018, the Born Free-supported Giraffe Conservation Foundation translocated eight West African giraffes to the Gadabedji Biosphere Reserve in Niger, creating only the second population of this subspecies in the world. However, translocation can be a troublesome beast, backfiring in a spectacular fashion if poorly planned or if motives are maligned. Last year, six black rhinos, listed as Critically Endangered by the IUCN, were translocated at huge cost from South Africa to Zakouma National Park in Chad, where the species had been absent for 50 years. Although both countries took two years to prepare for their arrival, putting in place safeguards, assessing the habitat and organising a monitoring unit, four out of the six black rhinos died. Translocation failures are not uncommon, but are difficult to find reports on. It’s only when the eyes of the world are watching that failures are acknowledged. Unfortunately, it seems not everyone has learnt from previous mistakes. In September 2018, plans were announced for gorillas to be translocated from the Democratic Republic of Congo (DRC) to Zimbabwe. Gorillas are an equatorial species, endemic to West and Central Africa, living in rainforests, swamps and lowland forests. Zimbabwe’s habitat is wholly unsuitable for this species. Gorillas will never thrive in the wild in Zimbabwe and will likely be kept in captivity. As a highly sensitive species, capturing and removing gorillas will inflict a huge amount of unnecessary stress, potentially harming both the individual gorillas and their family members. So why do it? Zimbabwe’s government says the gorillas will encourage tourism in the country and increase their biodiversity. This is translocation for profit, not for conservation. Translocation is not only highly stressful for the animals involved. Other species may decline after the introduction of a new predator or competitor. Moving large animals, such as gorillas and rhinos, into highly populated areas can create human-wildlife conflict. It also has the potential to relocate diseases – there are fears the gorillas translocated from the DRC could bring the Ebola virus with them. Translocation is also a costly process, stretching already diminished conservation budgets. Translocation should not be undertaken on a whim, used to boost tourism or as an interesting experiment. It must be for the good of the species and the individual. This is the demand that conservationists, governments and institutions must ask of themselves.